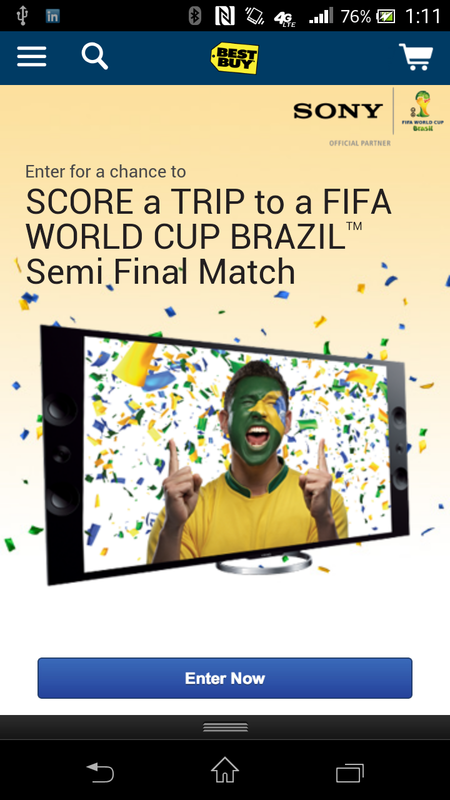 Overview: Exclusive sweepstakes with Best Buy to support the marketing and sales of Sony’s 4K Ultra HD TVs with a grand prize trip to watch the 2014 FIFA World Cup in Brazil. Channels: Best Buy desktop and mobile microsites, social channels, and bestbuy.com digital banners. Project Role: Project lead responsible for developing creative direction, briefing and partnering with creative agency (Catapult), facilitating production and logistics with sweepstakes management agency (Gage), and routing approvals and execution with Best Buy. 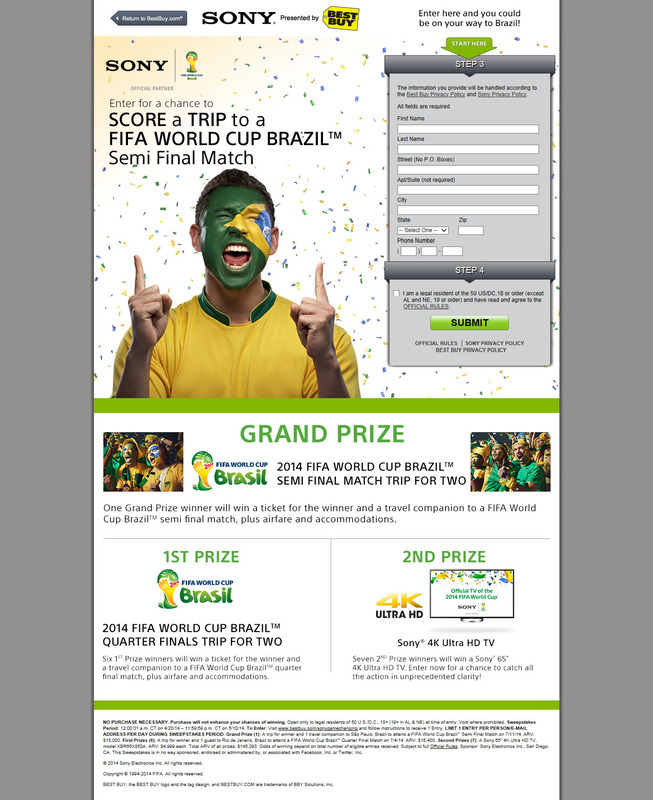 Results: Within the 2 week timeframe of the campaign, it achieved over 90K entries with higher than industry average mobile engagement and strong CTR for product purchase consideration, surpassing previous sweepstakes campaigns.